Our School of Management works with international institutions to guide policy and train higher education leaders of the future. The International Centre for Higher Education Management (ICHEM) trains future higher education leaders. It also aims to help redress global inequality by guiding inclusive development policy and involving marginalised groups. We are delivering a unique doctoral training programme in partnership with the Nelson Mandela Metropolitan University (NMMU). Following a groundbreaking agreement with the South African Government, ICHEM has developed the Future Leaders Initiative. Its aim is to train the country's next generation of higher education leaders. The programme combines elements from our successful Doctor of Business Administration (DBA) in Higher Education Management with a South African perspective. The first cohort comprises senior-level university managers. The programme will equip participants with advanced research skills and help them develop innovative solutions to issues facing the country. An important focus is on capacity building. After the two-year programme, NMMU will be able to deliver their own DBAs and continue to help South African higher education grow. In January our academics visited NMMU to deliver the first of four week-long residential programmes. Students will explore the historical city of Bath later this year alongside a week of seminars and lectures. This partnership is timely: South African higher education is undergoing major transitions. In his welcome address, NMMU’s Vice Chancellor Professor Derrick Swartz spoke of an 'academic ice age', a legacy of apartheid and the related academic boycott. Professor Swartz welcomed the international currents that 'would unfreeze these historical legacies'. Protests against fee increases and low wages for contract staff have also presented challenges for university managers. 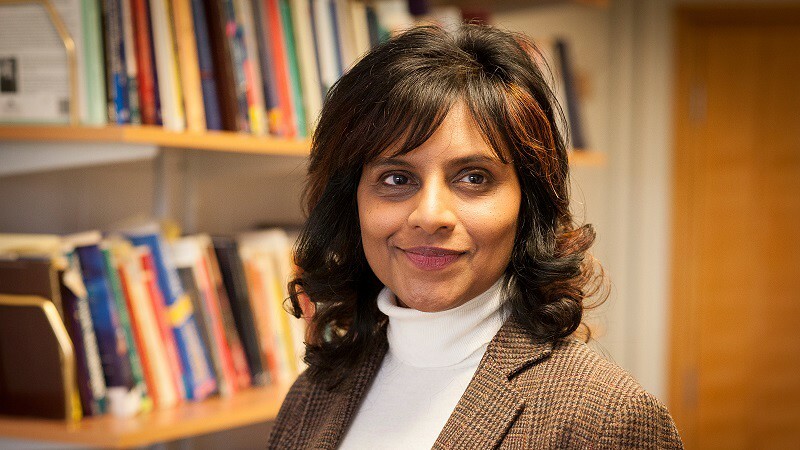 For ICHEM Director Professor Rajani Naidoo, creating a bespoke DBA to address South African education issues was a novel challenge. As a native South African, Rajani’s background and knowledge of the country have helped a great deal. But she is keen to emphasise that the partnership is helping guide ICHEM’s work too. The global outlook of the Future Leaders Initiative reflects ICHEM’s work. Founded in 1994, the Centre’s research is both diverse and influential. ICHEM studies higher education from many angles, investigating economic, political and social pressures that affect universities. It is this deep understanding of worldwide higher education that Rajani hopes to harness for the benefit of everybody. The close relationship we enjoy with South African institutions will continue next year. We are hosting a conference with Stellenbosch Business School and the European Foundation for Management Development as part of Bath's 50th Anniversary celebrations. An event, ‘Contributing to Inclusive Development in Europe and Africa: The Role of Business Schools’, will take place in April 2017. It will explore how business schools in Europe and Africa can contribute to inclusive development. Dean of the School of Management, Professor Veronica Hope Hailey, said, 'We are very proud of the work of ICHEM and the global reach and significance of the DBA.